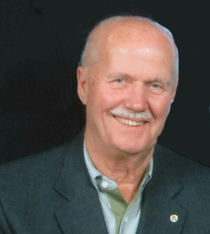 Obituary for Wayne Creighton Grainger | Westlock Funeral Home & Crematorium Ltd. It is with great sadness that the family of Wayne Grainger announces his peaceful passing after a long battle with dementia. He is survived, sorely missed and never forgotten by Flo, his loving wife of 57 ½ years, sons Mark, Darren (Kim), Troy (Jill), 8 Grand-children (George, Chris. Kyle, Mark Jr., Michelle, Jacob, Hannah and Sarah) and 16 Great-Grandchildren. He is pre-deceased by this parents, George C. and Elizabeth Grainger and only sibling Betty Lynn Lutz as well as recently, his daughter-in-law Deborah. He is also pre-deceased by several family members, friends and Masonic brethren. He will always be remembered for his love of family, dedication to free-masonry, involvement in the Royal Canadian Legion as well as his integrity, sense of humour, mischievous antics, generosity, infectious smile and willingness to help others. Having lived and worked in small northern communities throughout western Canada, Wayne and Flo moved to Westlock in 2012 from Fort McMurray where they lived for 31 years. Regular & Masonic Funeral Services to be held at Westlock Memorial Hall, 99th Avenue & 106 Street, January 26th, 2019 at 2:00 pm. In lieu of flowers, donations to the Westlock Continuing Care (via Westlock Funeral Home) are welcomed.